The Hotel Riverside Studios were located in three adjacent buildings at 342, 346 and 350 W. 71st St., on a deadend block west of West End Ave., New York City. They were listed in the Manhattan telephone directory beginning in 1936. Each building was 7 stories high, and from 1940 through 1968 there was a listing for a different telephone on each floor of each building. Beginning in 1969, there was no indication that 346 and 350 W. 71st remained part of the Riverside Studios. Until recently (2012/13?) 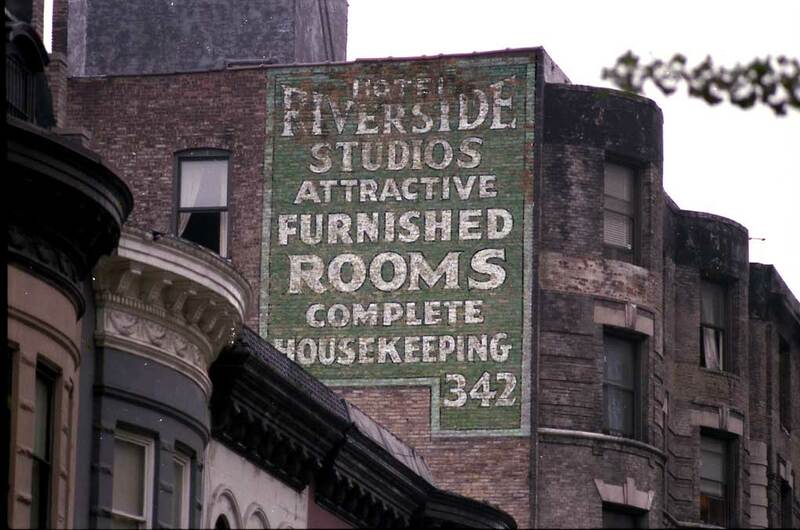 there was a Hotel Riverside Studios at 342 W. 71st St. An interesting series of reviews dated 2008 to 2012 can be read at bedbugregistry.com.